My goal is simple, make change. This whole Jack Pauhl thing has evolved from the start quicker than I was ever able to keep up. I really had no idea what it would become despite laying the foundation on twenty-six reasons to exist, which are more relevant today than they were back then. Now over 50 million views later and counting, its become an authoritative source for paint metrics and had/has an impact on our industry in unimaginable ways in every area imaginable. In the beginning, my intent was to remain anonymous, although, that didn't last long. My curious desire to put things right has led to publishing tens of thousands of posts since 96. The office stories I hear and the constant steady flow of testimonials (thousands) and feedback always assured me I was on the right track. If people were griping about what Jack Pauhl said, I knew I hit the right chords. I ruffled a lot of feathers along the way and will continue to do so. 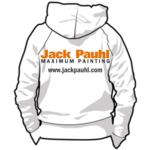 Several times over the years I've contemplated which direction I should take Jack Pauhl or just let it be what it becomes. In some ways the outcome was intentional, in other ways, it was shaped by the community. It was just a hobby; an outlet to talk about my struggles as a painter over the years with lousy products in an industry which appeared to have no direction or desire to change. Strategy and logic plays a large role in what I publish. I am not interested in the opinions of others. I had a carefully planned agenda from the beginning (26 reasons). If you learn one thing about INTJ's, they plan everything; nothing is by chance. Results are just things we wait to witness, they occur with great strategic intent. I can't sit here and say any part of it was ever easy, our industry is very archaic, problematic, and resists change more so than anything I ever experienced before at scale. So, to know how things were, what things became, and where things are going has truly been intriguing. It was obvious in the beginning industry change was not something common. I knew if change were to occur, it would take the community of painters to position that change. In a sense, I was able to provoke change with the help of the community to carry it out. That did happen repeatedly over the years. There is something curious about putting something out there that doesn't already exist and watching it fed back to you as if it came from somewhere else. Where do you think that information came from? You should know, Jack Pauhl exists because the information I publish doesn't exist anywhere else. I know my own words so-to-speak and when someone uses them, the idioms are easily recognizable. Engaging with countless painters and decorators throughout the world has been extremely valuable in shaping change and how change should occur. Some of the changes I learned about over the years were never on my radar to see change. From what I gather, they were just a ripple effect. Without speaking with companies, I would have never known how the content I publish had an impact. Everyone who knows me knows I cant stand to be in the spotlight and I'll be the first to tell you to shut up when you try to put me in the spotlight. I just want to thank everyone who contributed to intelligent engaging conversations over the years. Much of which was in the public eye, but so much was behind closed doors. We share a common goal and that goal is to see our industry evolve. If you were part of the solution, just know you're part of the 2% of professionals that care. Never be afraid to stake your claim as a professional in this industry. The fact that you care is what separates and distinguishes you from the rest of the so-called 'pros." Knowing what I want to accomplish, I feel as though I've barely started.